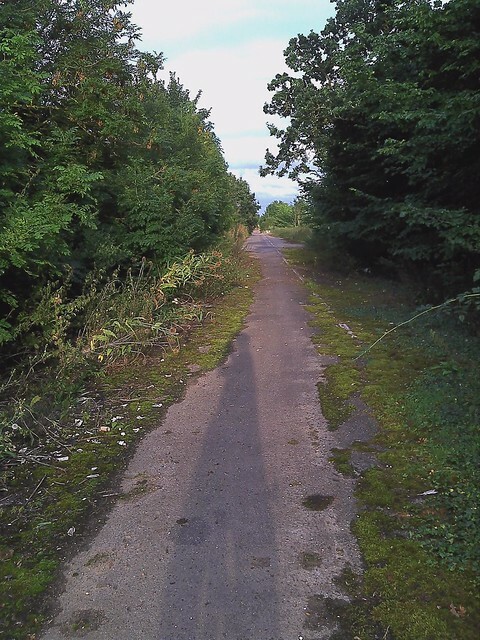 The council is now doing a consultation about 2m wide shared-use path between Wentworth and Sutton. Work should be completed by the end of 2014. 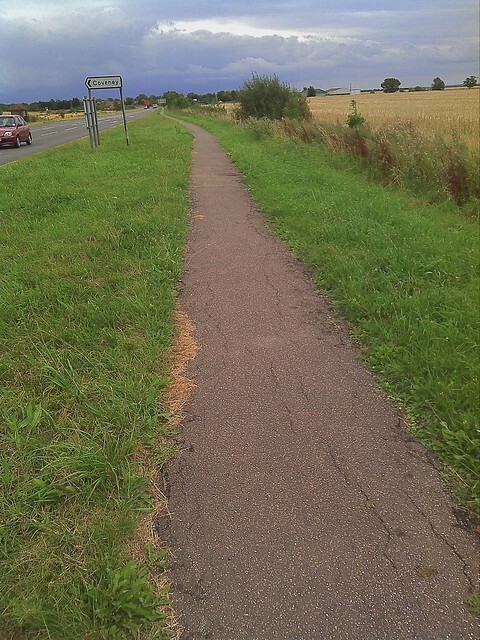 There is currently a path that leaves Witchford heading west towards Sutton along the A142. Unfortunately the path stops just past the bus stop at the Wentworth junction. 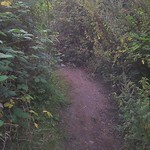 The path start up again in Witcham toll and then run all the way to Sutton. On the outskirts of Sutton it uses the old road and is blocked in 2 places by large piles of soil (around 2m high) which have narrow cut-throughs. 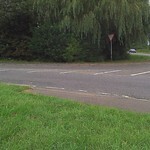 The missing section between Wentworth bus stop and Witcham Toll to be completed. The blockages at the Sutton end to be cleared. The whole path to be designated as shared use. 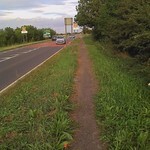 Furthermore we’d like to see the entire path to be wide enough to allow cyclists and pedestrians to pass. August 28th: Andy and Michael rode the route and took photos of the current state. September 5th: Andy attended Witchford Parish Council meeting and raised the issue. The parish council are also keen to see the route completed and have looked in to some possible solutions. The main issue is obtaining funding. When we researched the services along the verge the gas main was identified; we have a copy of the drawings for this and other services. I only raised the point so you have it in the background if discussions do progress. I don’t think it poses a ‘road block’ but approval from the gas company to overlay its main would have to be sort and gained. One suggestion to reduce the costs is to make the cyclepath sufficient but not to the 2m width and with a reduced specification of the county highways. This can be done later when there are funds; we were just trying to find a way to link the cyclepaths at each end at minimum cost. For instance one suggestion was to form a 100mm deep cut, 1000mm wide (maybe 1200 depending on digger bucket) and between 500 to 1000mm away from the road edge, with the spoil being evenly distributed over the verge away from the cycleway. The cut would have 100mm timber edging pegged at 1500mm centres. A geotextile would be placed in the bottom of the cut before covering with road planings which would be rolled. 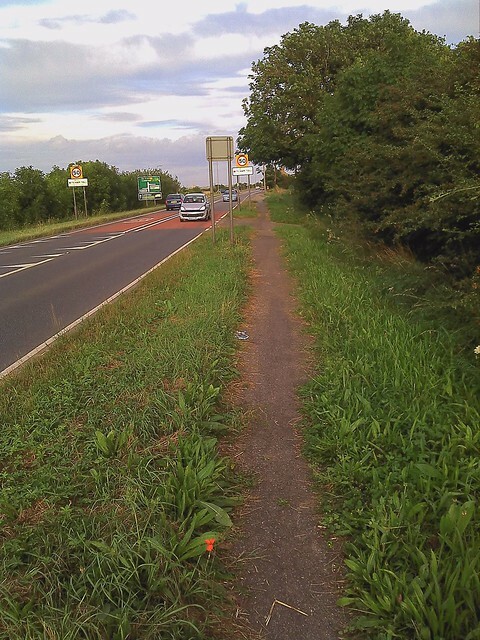 A visit to other cyclepaths constructed to a more pragmatic standard (of which there are several but in South Cambridgeshire) has been suggested. 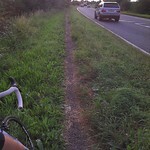 One problem to be resolved is where the cyclepath would cross the occasional drainage grips. September 7th: Contacted Patrick Joyce and Mike Davies asking about possible funding via the LTSF. 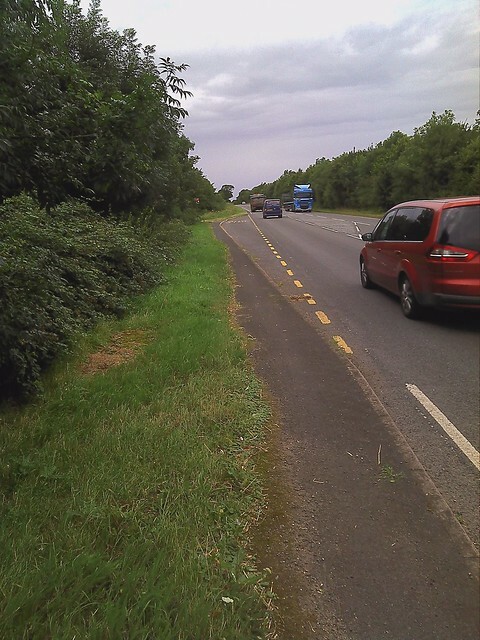 September: Bill P contacted all of the Parish Councils which are affected by the route and all replied to say they are in favour of the link being closed. Bill also contacted local District and County Councillors who are also in favour. September 25th: Andy met with Patrick Joyce and Mike Davies who said they thought that the route was too far out to be counted as a route to the station. They also said that the cost of a 2m cycleway would be £600,000 for the 1.5 km that’s missing. They were quite insistent that nothing less than a 2m wide cycleway would be considered by them but accepted that it would probably never be funded. September 28th: Andy and Ian met with Kevin Hall from the County Highways Division who was very pragmatic and gave rough costings for various options including just a base layer (around £100,000) and a footway (around £250,000). He said Highways would have reservations about just putting a base layer down due to maintenance issues. While at the meeting Andy raised the issue of the current state of the Witcham Toll to Sutton section and Kevin offered to forward that to the maintenance division. Andy emailed Kevin later and he forwarded that on. October 1st: Andy, Bill and Ian attended the West Area Neighbourhood Panel meeting and raised the issue there. There was pretty much unanimous support for the project but the County Councillor present refused to push for funding for it. The chair of ECDC was present at the meeting but didn’t speak in support to push the County Councillor for funding. 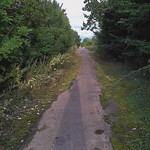 The county council have decided to spend the LSTF money on the completing this route. Andy and Bill met with the County Cycling Officer responsible for the scheme on site to discuss the proposed plans. He’s open to looking at moving the crossing point away from the junction at Wentworth and possibly giving it priority. At the petrol station he confirmed that the slip road (but not the whole entrance) would be re-allocated as cycle lane protected by a kerb and the cycle lane will be marked as it crosses the entrances but not have priority. The crossing of the Haddenham turn is already pulled back from the junction and the central refuge will be made slightly wider to (just) allow for bikes with trailers. 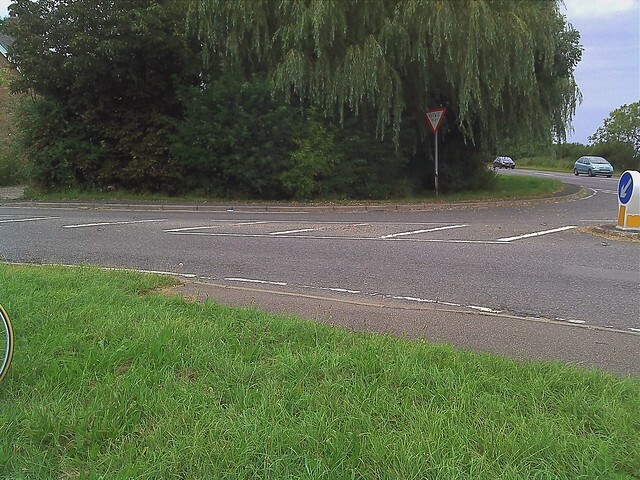 There will be a grass verge between the cycle path and the road along all of its length except a couple of points where there isn’t space on the corner of the junction in Witcham Toll. 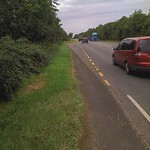 The existing gap between the edge of the carriageway (marked with a white line) and the edge of the road of around 50cm will add additional space between the bikes on the cycle lane and the traffic on the road. 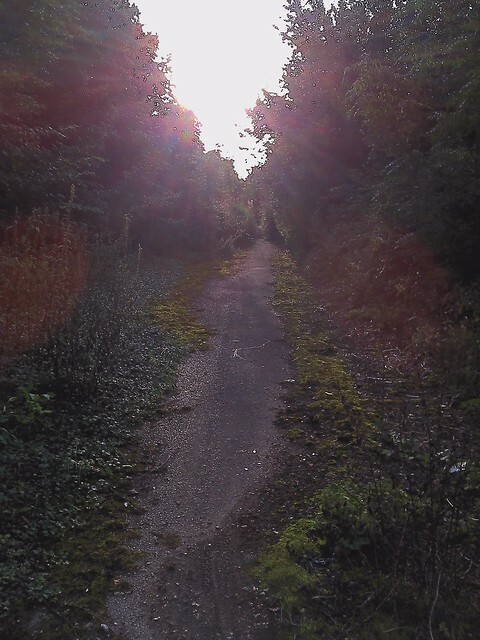 There aren’t have funds to widen the path from Witchford to the Wentworth junction, but there might be enough to widen the other end from Witcham Toll to Sutton. The poles that are in the way in Witcham Toll are power lines not phone lines. It’s expensive for the County to get UK Power Networks to move them … but we can ask UKPN to do it as a community initiative. It’s unlikely they would move the poles, more likely they would bury the cables and then remove the poles altogether, but it’s most likely they will do nothing. I raised this topic again ay the Area Right to Ride Meeting at Castle Court on 10th December, Chaired by Rupert Goodings and attended by Patrick Joyce. Roughly the same answer was given about money and putting pressure on our Councilors. 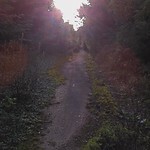 However there seems to be enough money to upgrade the cycle path from St. Ives to Houghton. 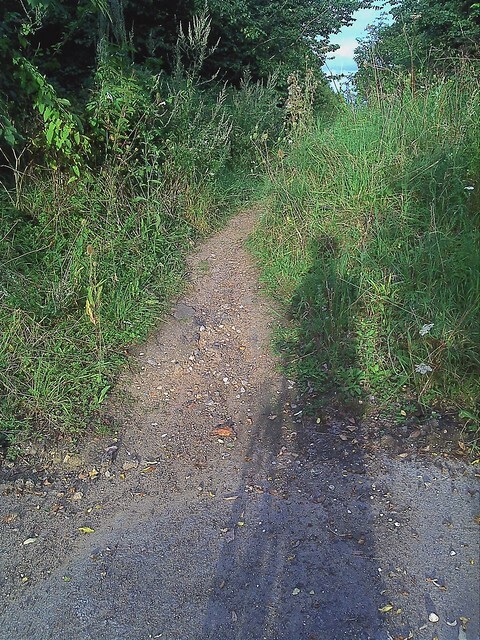 There is a meeting of the West Area Neighbourhood Panel on Monday 14th January (Witcham Village Hall 7pm) We were promised that the missing cycle path would be an Agenda item and that the Highways Dept. would be represented at the meeting. 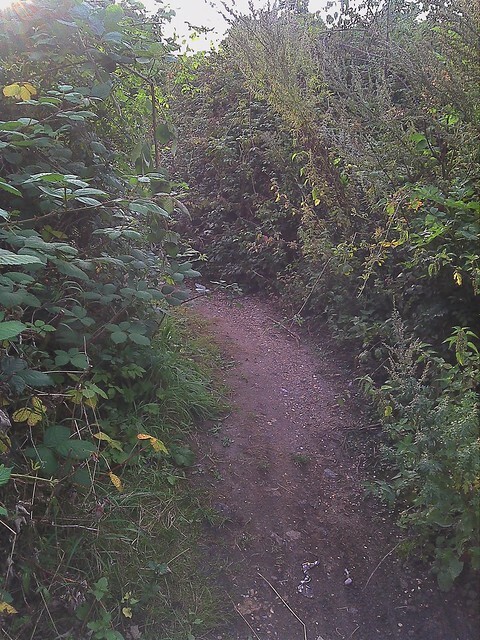 Missing path/Cycleway section from Wentworth turn to Witcham Toll. It appears that the issue of the Sutton to Witchford Cycleway is not on the agenda on Jan 14th meeting with a rep. from the Highways Dept.present (as was promised).I contacted Lewis Bage at East Cambs.to ask why this was so and had a reply from him which I have enclosed below. The County Council currently has no funding available to progress the Witcham Toll cycle link. The County Council is aware of this community desire and will continue to keep this potential scheme in mind when seeking funding opportunities. Highways representative unavailable to attend panel meeting in January however this has been added to the forward agenda. This update will be communicated at the meeting on 14th Jan as part of the Neighbourhood Update (Item 4). Where has this campaign got to now? I live in Sutton and there are a lot of Sutton residents who would really support this plan. My husband would like to be able to cycle to Ely to catch the train into Cambridge but the A142 is just too dangerous, especially in the dark evenings. We’re still pushing for this but the big stumbling block is finding the money. Given the volume of traffic on the A142 is likely to increase due to the Ely Southern bypass it makes creating the link even more important. Sorry I don’t have better news, we keep pushing but we’re not making progress fast I’m afraid. 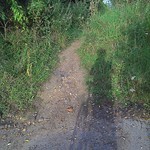 I live in Sutton as well, this route has no alternatives, there is not off road path a cross fields etc. and it can be dangerous at peak times. Given the overarching strategy to encourage sustainable transport. I feel that it is upon the district council to ensure access to the administrative centre of East Cambridgeshire for its residents.. £200,000 is not a great deal for the long term benefits it can provide, these being. Improved health of residents, better transport links, changing peoples behaviour, choice, less cars on the road and a sign that commitment to support the needs of residents is important. 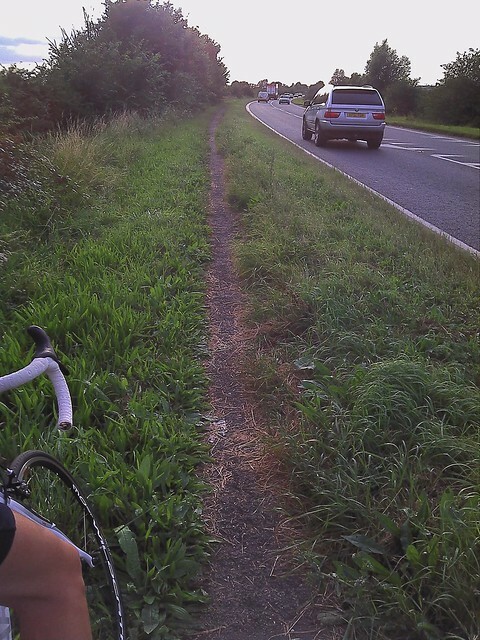 It is well documented that if off road cycleway are developed, then people will use them. It is not just for the people of Sutton but the villages in between and the opportunity for people to travel not just for work but for pleasure. Sutton has some of the best waterside paths and walks in the region. Lets start thinking big, not small. 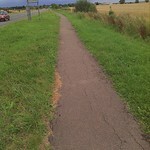 A cycle connection would be a link that can support communities far outside the Ely to Sutton connection. We live at the Toll and raised this in the Highways surgery in Sutton on the 19th June (this year). We have been told this week that it is being costed by CCC and within a couple of weeks they should know if they have the funds to do it. Given the amount of local history visible from that route (particularly with relation to WW2), there should also be potential to apply for a grant from the OWLP to create a heritage history route.